Each shot you take is recorded by the software, giving you statistics such as your group size and average distance to the center of the target. Additionally, there are several different shooting modes, illustrated below. With the high cost of ammunition, it becomes difficult to go shooting often. For the cost of a couple trips to the range, the Rangemaster SRS lets you shoot every night. Putting time into dry fire practice can greatly improve your shooting skills. The Rangemaster SRS does not replace going to the range, but it makes your time spent at the range much more effective. If you're serious about improving your handgun skills, this is the product for you. 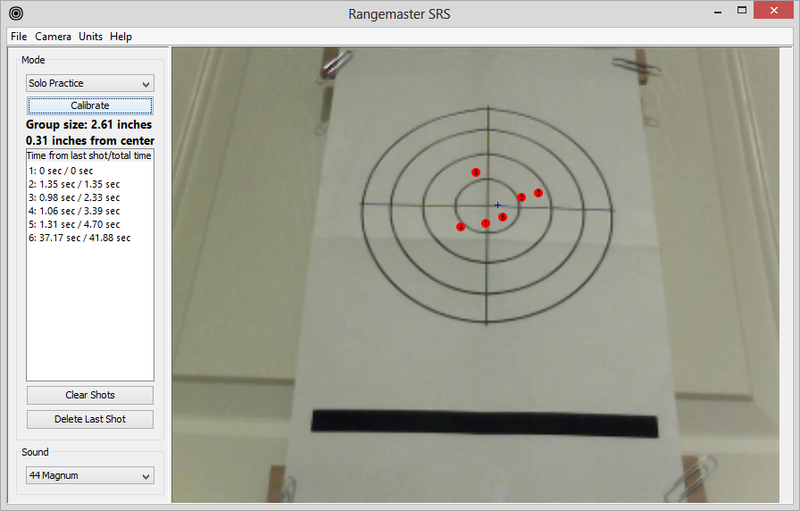 Just start shooting, and the Rangemaster SRS will tell you your group size and average distance to the center of the target. Here, six shots were taken. Each shot is numbered and the time for each shot is shown on the left. Also on the left is the group size and average distance to center. Take turns shooting with others and see who's the best shooter! You can also use this mode to try out different shooting techniques. Here, two players took five shots each. 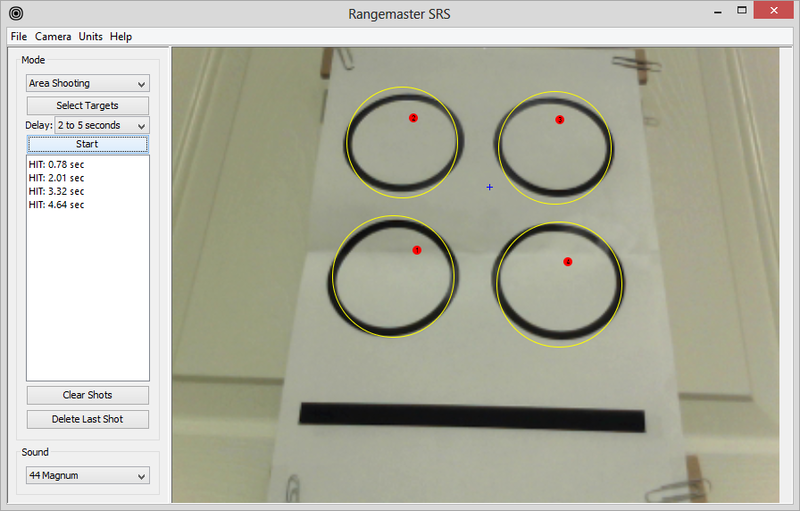 The Rangemaster SRS scores them by their group sizes. 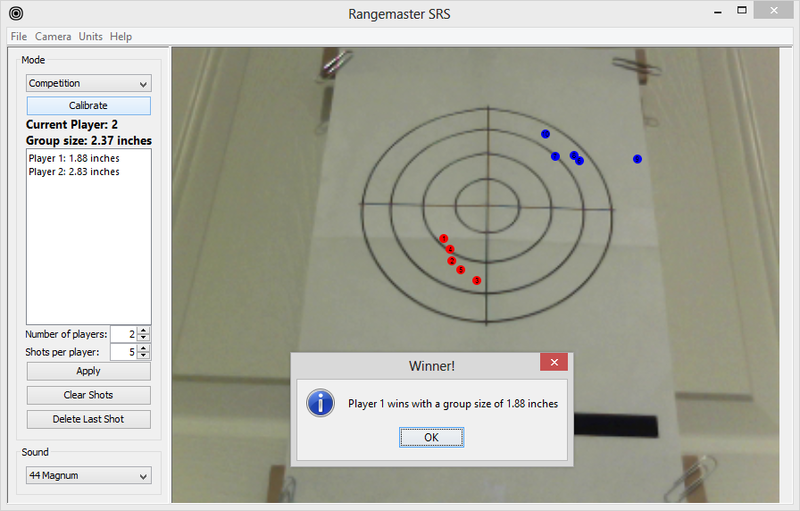 Player 1 won with a group size of 1.88 inches. Set a time delay and at the beep, perform an action such as drawing from your holster and shoot as fast as you can. Here, the shooter took four shots from his holster. The time from the each beep to when he hit the target is shown on the left. Define areas on the screen to shoot at and try to hit them quickly. Here, four areas were selected. The shooter then clicks Start and at the beep, starts shooting. 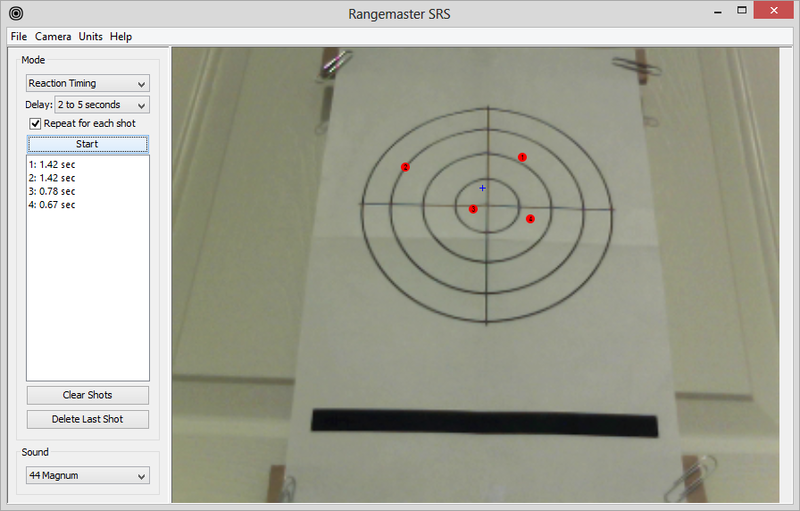 The shooter took a shot at each of the four targets, and his hits and times can be seen on the left.